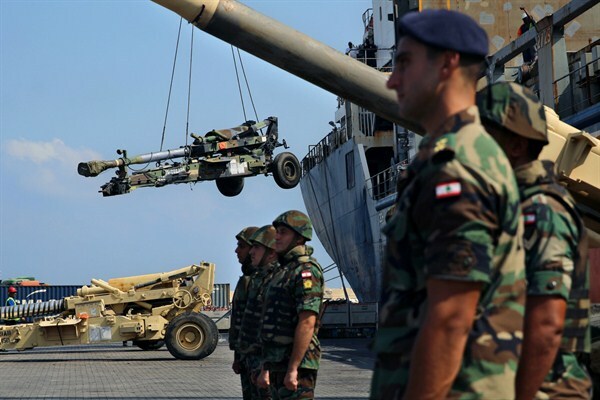 Lebanese troops stand guard as weapons from the United States are unloaded at Beirut's port, Aug. 9, 2016 (AP photo by Bilal Hussein). Burkina Faso, a small West African country that most Americans have never heard of and that saw a popular uprising in 2014 and attempted coup a year later, has received more than $4 million in the past 10 years to help professionalize its military. However, even with consistent U.S. security assistance, the State Department reports significant human rights concerns in Burkina Faso, including extrajudicial killings by security forces and excessive use of force, such as torture, against civilians.